Nursing and postgraduate students from all faculties will attend graduation ceremonies at the Grand Theatre on Wednesday 17th April and Thursday 18th April 2019. Each graduation ceremony will begin with a procession featuring senior University staff, governors and invited guests through the city. After each ceremony, students and their families have been invited to attend a drinks reception at the City Campus to end their graduation day. An honorary doctorate will be presented to local hospital leader, David Loughton CBE, on Thursday, in recognition of his contribution to healthcare. 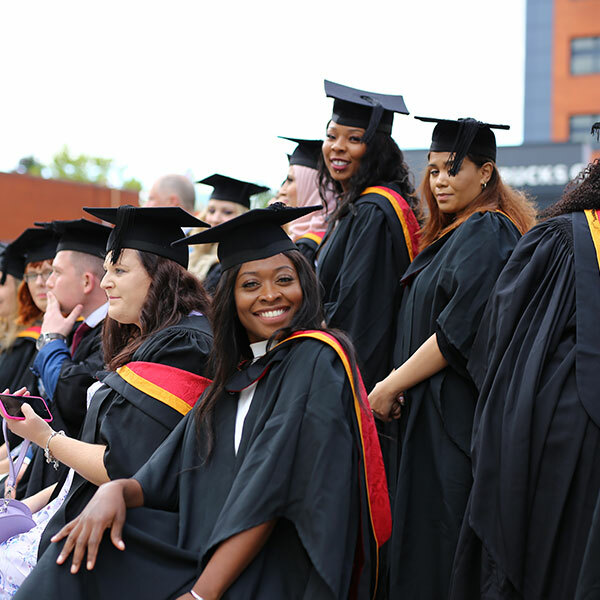 Each year more than 7,000 students graduate from Wolverhampton at more than 30 ceremonies in the UK and overseas in areas where the University has international partnerships. Dr Anthea Gregory, Deputy Vice-Chancellor at the University, said: “We are delighted to be celebrating the many varied achievements of our students as they graduate this week. “Our nursing and postgraduate students enter a range of interesting and rewarding professions, and we’re extremely proud that 96% of our graduates are in employment six months after leaving us.